The Tax Lady : What is a QuickBooks Pro Advisor and Do I Need One? What is a QuickBooks Pro Advisor and Do I Need One? What is a QuickBooks Pro Advisor and Why Do I Need One? 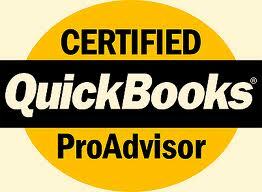 QuickBooks® ProAdvisors have a vast knowledge of the QuickBooks® family of products.. They are recognized for this expertise and certified by Intuit, the makers of QuickBook®. ProAdvisors are tested annually and with each version to ensure their knowledge is always current with the latest edition of QuickBooks®. How do you find a ProAdvisor? ProAdvisors are located all over the country. To find an expert in your area that holds a current certification visit Intuit's Find a ProAdvisor Website. Why choose a ProAdvisor rather than an RTRP, EA or CPA or other accountant? ProAdvisors are well versed in the different version of QuickBooks and have knowledge that are industry specific. ProAdvisors will generally charge less than accountants. Keep in mind that many accountants are ProAdvisors as well. If you're searching for assistance check with your accountant first and perhaps they will cut you a break if you're already using their services. How do I get started with a ProAdvisor? Click the link below for a series of questions and information you can use to find the ProAdvisor best suited for your needs.